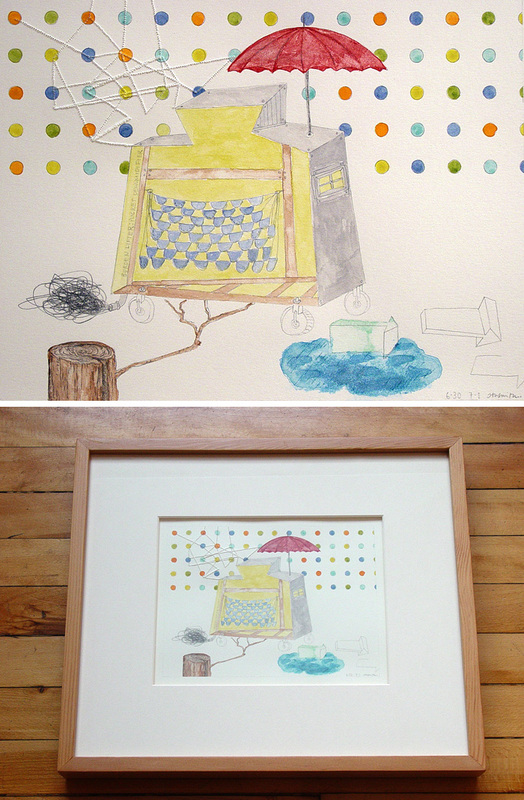 "Burden lifter: pocket dehumidifier", graphite, handmade watercolor, gum arabic, pinholes on paper, image size 6.75 in. x 9 in., framed 15 in. x 17 in. As I slowly share work with you for the upcoming show at Artstream, this one seemed so appropriate for today. I feel I'm up to my ears in work, show preparations, and other commitments that I'm dog paddling just to keep my chin above water. I don't consider my work to be a burden by any means, I just need to take it one task at a time. So I'm not sure what that means for my online presence for the next couple weeks. I'll probably continue to share glimpses of the work for the show, because this body of work I feel very strongly about and I'll share some inspiration as well. If you see me less often please forgive me, I'm still here and still appreciate you so very much! ps. oh, I almost forgot I'm putting a couple little pinhole pieces and other goodies in the shop today. thanks!